The end of the semester is right around the corner! Every student is bound to go through a number of interesting thoughts after finishing up their final assignments prior to the Christmas break. 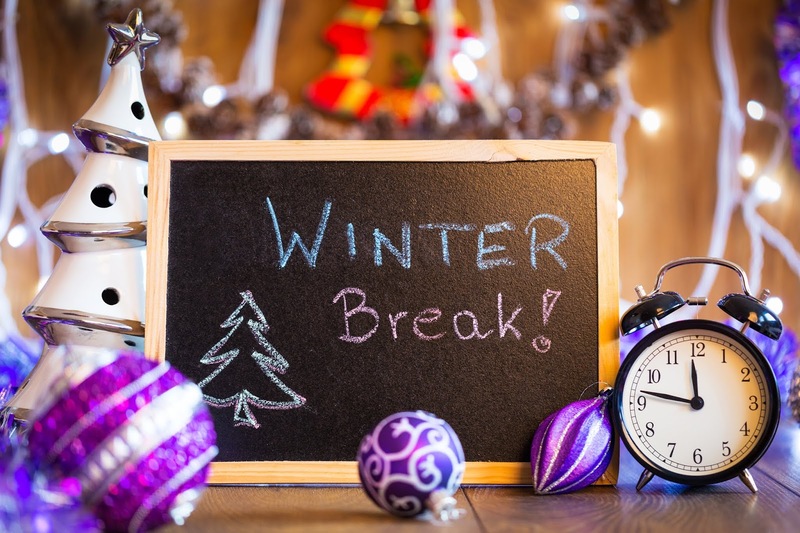 Staff is eager to get the holiday season ramped up, and parents are planning their precious time they will be afforded with the impending break. However, before we can all relax and relish in the time we will receive with friends and family, I want to take the time to share with you a priority and goal that our staff has committed to at the beginning of the school year. As a staff at Bethany Lutheran, we realized that some of our current curricula were disjointed, our rigor in the classroom was below expectations, and our students could handle being challenged a bit more. Therefore, as a staff, we recommitted ourselves to providing the best Christian academic experience as we possibly could. We believe that in order to best prepare our students for the future, we needed to refocus our attention on content, as well as approach. 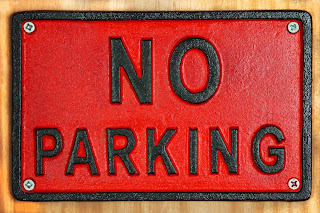 Please bear with me as I explain what all of this means: Education in America has a rich history dating back to the 1600s – but most primary, middle, and high school, as well as some colleges and universities, no longer see their priorities as helping students find the meaning of life, building a life of strong character, learning to serve others or preparing for civic Christian responsibility. Now, most schools are about pre-professional vocational training and ethical and moral experimentation for the students and this shift away from the true foundational aim of education has been a disaster. All too often this has led to our nation’s students being “academically adrift” – ill-prepared for adulthood and productive, meaningful careers, and distracted or injured by unhealthy school and life alternatives, political correctness and a lack of religious freedom at school. At Bethany Lutheran, we are modeling the renewal of Christian education – combined with the study of liberal arts and sciences. Because of our commitment to general revelation, we believe we can study the finest books, art, and culture and learn much about God’s world. We believe all truth is God’s truth. We have recommitted ourselves to a broad liberal arts education where our students take classes focused and centered on Gods’ words and mandates. A Christian education is designed to be broad and deep. Broad by encompassing a general core curriculum focused on Core Knowledge and deep by studying a lifelong concentration with rigor. Our learning is comprehensive, interdisciplinary and connected. 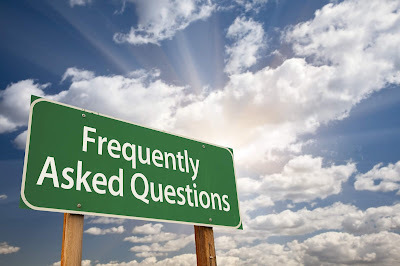 We are deeply committed to teaching our students to ask the big questions, think profoundly and critically and communicate well. Studying Core Knowledge principles and Christian ideologies teaches: Learning is for its own sake and not just for a diploma – we are learning to slow down, think deeply, be curious, to realize that knowledge brings great joy, and that wonder and curiosity are more important than IQ, a point made by a recent study in the Harvard Business Review. Core Knowledge is about developing abilities – Study after study shows that high school teachers complain about the kind of graduate’s middle schools are pumping out – graduates who can’t write well, think critically, problem solve or work well in diverse groups. This is exactly what the Core Knowledge does best. It is what Bethany Lutheran does best. Developing high moral character, habits of the heart and a strong sense of purpose and vocational call – BLS strives to cultivate students who work hard, enjoy life, and have a strong sense of purpose – a life of “faithful presence.” We want our students to see these years as a time to ask the big and hard questions about all aspects of Christian life – to develop a meaningful philosophy of Christian life. We desire for them a Christian life of character, high moral integrity and a vision for their future. In short, BLS attempts to provide students with quality academic years of transformative experiences that change them forever and set them on a trajectory of faithfulness to God, a rich and abundant life and a life that launches them into adulthood – one that contributes to our nation and world by productive work, building strong family and being a good neighbor. As we work even harder to ensure our students’ success we continue to ask for your wonderful prayers and support. There is much work yet to be done but with God, all things are possible! It's the time of the year that we've been all waiting for! Christmas songs, decorations, hanging out and eating tons of food with the family. So let's start the countdown with a special dessert advent calendar, a new treat for every day until Christmas! Save the date! February 9th, 2019! 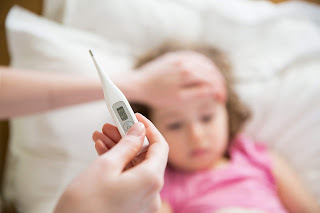 It’s officially cold & flu season! Time to send out a friendly reminder that it is now more important than ever to make sure we all eat well and get our sleep. That we stay hydrated and we wash our hands throughout the day. We need to use tissues when we have a sore or runny nose. That when we cough we DO NOT cough into our hands (we can spread germs that way) but into the crook of our arms. 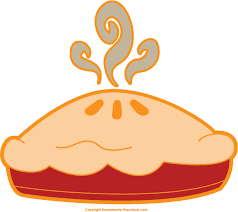 Pie Pick Up Day—Nov. 14! Greetings in the name of our Lord and Savior Jesus Christ! 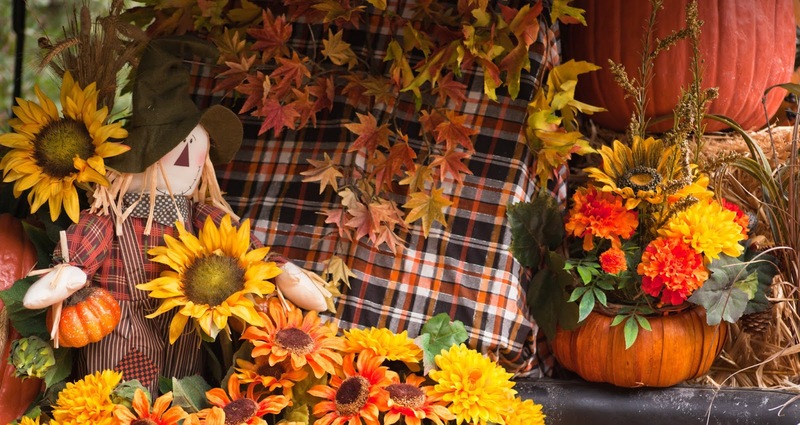 I pray this newsletter finds you doing well and enjoying the unseasonably warm Fall weather we are having. I wanted to take a moment and speak about our overall fundraising goals for Bethany. As you are aware, we are in the process of planning the construction of a new pre-school building on our campus, which means we will gain two classrooms back when the preschool moves into their new building. At that time, we would like to open our new Science & Technology Lab. The lab will be located where elementary music currently is housed. Ms. Donna would, of course, move back into the A building close to the primary school students as before. It is our hope that our Science & Technology Center will house 25 - 30 desktop computers, a teacher workstation, overhead projector, 3D printer, laser printer, smartboard, and much more, making it one of the most innovative and progressively advanced centers in the area. With that being said, our goal through fundraising will be to cover the majority of this center over the next two years. Please bear in mind that this will take a huge effort on our part, as the cost will be between $20,000 - $35,000, but with God’s blessing and guidance we will reach our ultimate goal. Thank you, everyone, for helping us thus far, with your love and support we are putting a dent in that total already! I am happy to announce that Bethany Lutheran will be partnering with Chick-Fil-A to bring nutritious and delicious lunches to our campus on Friday’s. Teachers, parents, and students will be able to place their order by Wednesday night to receive a hot and ready to eat meal. Meals can be various items such as chicken nuggets, chicken sandwiches, chips, salads, and much more. Complete information with ordering instructions will be disbursed as soon as the process has been finalized with the company. Thank you! Thank you! Thank you! Words can not express the sincere gratitude that I have for all of our wonderful parents and staff. Trunk or Treat this year was absolutely amazing. The evening was filled with fun games, good food, and some of the most wonderful trunk decorated themes I have ever seen. To quickly recap our top finishers; 1st place went to First Grade (Willy Wonka), 2nd place was Mrs. Fernandez Kindergarten (Magic School Bus), and 3rd place was 5th & 6th Grade (Fortnite). Honorable Mention went to our preschool team (Under the Sea). Everyone did a stellar job and it was exciting to see how competitive and well thought out the trunks were this year. I am very proud of everyone who participated in the event. I want to also thank Paula Rush for her tireless efforts in helping put together the event; Janice Williams and Juanita McCallum for manning the kitchen; Jerry Miller who helped at the ticket booth; the preschool staff for running the multiple game stations; all the parents who worked tirelessly on the trunks, the Frizzies who picked up and returned the portable lights; the Dykes for helping with cleanup; Ron Shively and Mike McCall for making sure the sprinklers didn’t come on and the lights were on; the BLS staff for helping make the evening a total success, and everyone for their generosity and donations of items for the event. I am reminded of a verse from the Bible which states “two are better than one because they have a good return for their labor: If either of them falls down, one can help the other up. But pity anyone who falls and has no one to help them up” (Ecclesiastes 4:9-10). Friday night was a living example of togetherness, unity, and teamwork. The only way to move Bethany Lutheran forward in a manner pleasing to our Lord and Savior is to continue to move as one in Christ. When the whole team is working for the glory of God, there is no internal competition: “I planted the seed, Apollos watered it, but God has been making it grow” (1 Corinthians 3:6). The unified team understands that reaching goals is God’s doing, and what God is doing requires teamwork on our part: “The sower and the reaper may be glad together. Thus, the saying ‘One sows and another reaps’ is true. I sent you to reap what you have not worked for. Others have done the hard work, and you have reaped the benefits of their labor” (John 4:36–38). Christian teamwork acknowledges God as the established leader and objective third party in every team, adding strength and cohesion to the bond. Having basic relational boundaries in place helps teams focus on the job at hand. With love for God and love for one another, unity is possible (Ephesians 4:13). It helps to be humble and “consider others better than ourselves” (Philippians 2:3). It is events like these which continue to inspire me, as I know that God has wonderful plans for Bethany. Again, thank you all for your dedication, support, and love of our school. 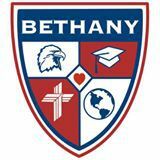 Together, with God at the forefront, Bethany will set the standard in Christian education. Shorts are no longer allowed at chapel. This was a Wednesday-by-Wednesday basis that was to be determined by Dr. Smith. The weather is now changing so going forward: Boys must wear navy long pants to chapel. Chapel shoes: white, black, navy, tan or gray are allowed. NO RED or crazy colors for chapel. You MUST "check in" your child in the school office if you arrive after 8:10am. Generally, roll has already been taken and we need documentation of when your child arrives on campus. 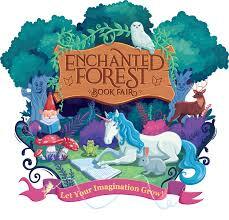 The Scholastic Book Fair theme this fall is Enchanted Forest! Think unicorns, fairies, owls, mushrooms, gnomes! Our Fall Book Fair will be here before you know it! This year’s Book Fair will be held October 15 through October 19 at BLS. Christine Dicker will be chairing this event. Door Decoration/Locker Contest: PS—4th Grade Door Contest. 5th-8th Grade Locker Contest. Please have your door/locker completed by the week of October 12. Judging will take place Friday, October 12 and winners will be announced during chapel the week of the book fair, Wednesday, October 17. Decorations should be within the theme of the book fair. All materials used should NOT damage lockers or doors—NO STICKERS! Class Trip Day: Monday, October 15 the book fair will be open ALL DAY for all classes to come visit. Please be sure to send money with your child on this day so they can make their purchases during their class visit. 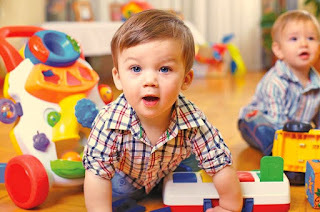 As you may have heard, our preschool located on South Orchard Avenue in Vacaville, CA. experienced a major fire August 14th. As a school community and church, it has been a very difficult time but a time in which we have seen God’s blessing through hardship. So many people in our community and around the world have reached out to us and asked how they can help and how they can pray and support us moving forward. The BLS staff and I invite you to prayerfully consider contributing much-needed items to our preschool ministry. We have created a list of children’s classroom items which will directly benefit our little ones in the days, weeks, and months ahead. 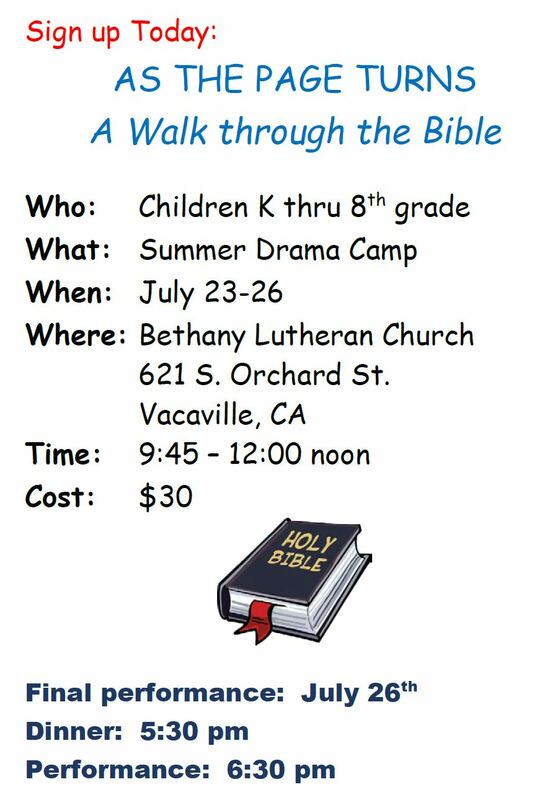 If the spirit moves you to help, please feel free to send new or gently used items to Bethany Lutheran Preschool, 621 S Orchard Ave, Vacaville, CA 95688. Gift cards are always welcomed as well as an option to purchase items. Thank you for the important part you play in our body of Christ, for the love and generosity you have shown us, and for your prayerful support through this difficult challenge. Our Book Fair is quickly approaching so we need to get going in order to have a successful Book Fair. So many of us are ready for Fall—what a PERFECT fundraiser—Candles! Bethany Lutheran Schools are now selling wonderful candles. These candles are great quality with a long burn time. These would make terrific gifts! This fundraiser will run from September 5—September 17. 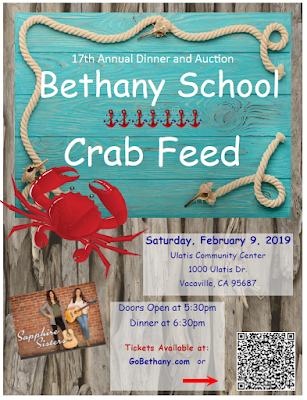 Bethany Schools will receive 50% of the profits! Wow!!! Make sure to get the fundraising packet from your child as they went home at the beginning of the week. Candles should be delivered at the end of September or 1st week of October. In this video I show you an easy (and fun) way to teach your kids where things belong! Of course, there are so many things you need to do when it comes to teaching kids about organization, but this is just one way to make a fun "game" out of it! 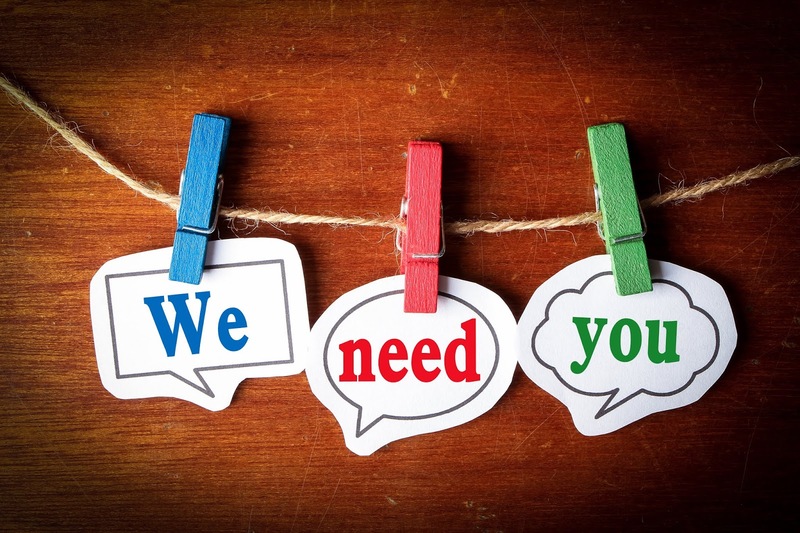 There are many volunteer opportunities that you can be a part of! Not only will this help you accomplish your Partnership Hours but it will keep you involved in your child(s) school. Please come in the office building and look at all the sign-up sheets for different volunteer opportunities. This is located in the hallway down from the office on a bulletin board. Sign up! Later on, when it is time to start that particular opportunity you will be contacted. Food 4 Thought has contacted us and apologized that they incorrectly set our lunch prices for 2-3 times what they should be selling for. 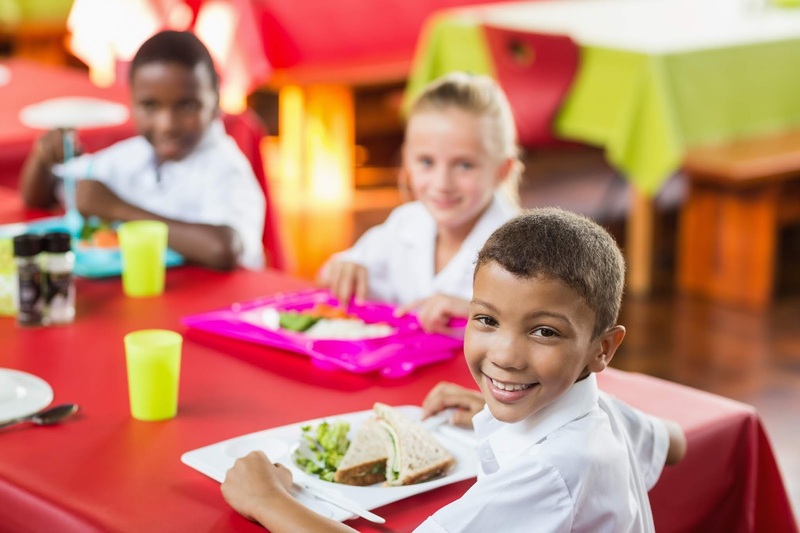 Those families who have been purchasing lunches through the program will be getting a refund from the company. Those of you who chose not to use the program due to pricing will be pleasantly surprised with the new pricing. your student’s name. Otherwise, it might get returned to the used closet. 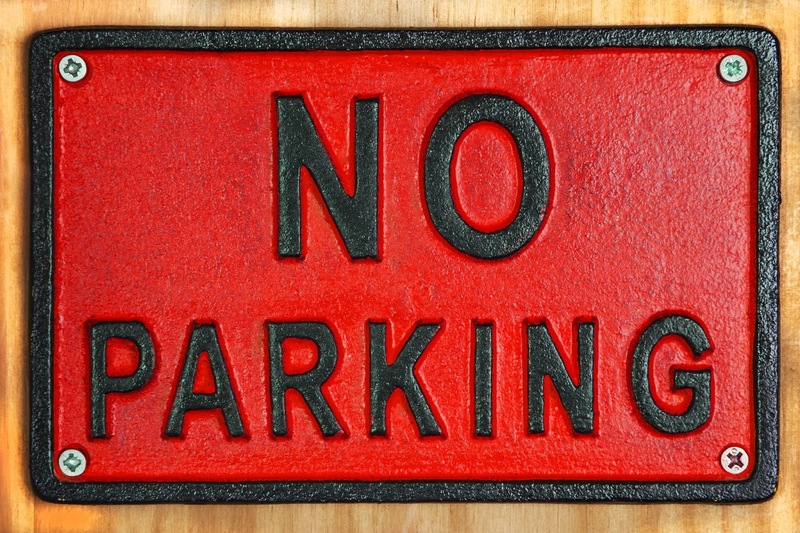 parking spaces available on campus. a backup with those trying to turn in. Please drive around and exit onto Ulatis Drive ONLY. Bethany Lutheran Church is a Christian church, part of the worldwide Christian Church. We believe that there is only one true God, who reveals himself in the Bible as being three persons in one God– the Father, who created and sustains the world; the Son, who became and lived as a man, died, rose from the dead and returned to heaven, taking up again His full glory and power; and the Holy Spirit, who brings people to faith in Jesus Christ and imparts to them the blessings of faith. Each is fully God, and yet there is only one God, not three. We believe that the Bible is the Word of God, spoken through human authors. It is trustworthy and without error. Its main message is the gift of eternal life found in Jesus, the only Son of God. We believe that all people are born in sin (original sin) and that we sin against God every day and are in need of His forgiveness. We believe that Jesus Christ is our Lord and Savior and that He is true God and true man and that He died on the cross to atone for the sins of all mankind. But the Good News is that Jesus rose from the dead on the third day and opened the gates of heaven to all who believe in Him. We believe that we are saved by grace through faith in Jesus Christ even though there is no merit or worthiness in us. Bethany Lutheran Church is also a fellowship of Lutheran Christians. We are affiliated with the Lutheran Church-Missouri Synod, a Biblically conservative church body. The LC-MS is called a “confessional” church body because we publicly confess our faith. We believe that the three ecumenical creeds are faithful declarations of the Christian faith. These include the Apostles’ Creed, the Nicene Creed, and the Athanasian Creed. Our congregation is called “Lutheran” because we follow the Bible-based teachings of Martin Luther, which were the driving force for the Reformation of the Church in the 16th century. God used Luther to proclaim again the Biblical truth that in Jesus Christ, God is loving and merciful. Forgiveness and eternal life are gifts that God wants to give people through faith in Jesus. During the time of the Reformation, much of the church was reformed and revitalized and brought back to its Biblical roots. The teachings of the Lutherans were gathered together in the Book of Concord of 1580, and are used as a confession of faith by our church body. Grace Alone. The Bible teaches that we are saved from sin, death, and everlasting condemnation only by God’s grace, his undeserved favor toward us. Human beings cannot earn their way to heaven. God, in his rich mercy, wants us to have eternal life with Him. See Ephesians 2:8-10. Faith Alone. Faith is the only way by which we can receive God’s gifts of grace. Faith is trusting in Jesus Christ alone for eternal life, and is a creation not of man, but of God. 1 Corinthians 12:3 says, “No one can say Jesus is Lord except by the Holy Spirit.” Faith is created and sustained by God working through his Word, through Baptism, and through the Lord’s Supper. Scripture Alone. The writings of the Old and New Testaments of the Bible are the only rule and norm by which all doctrines and teachers are measured and judged (2 Timothy 3:16-17). Our church is a sacramental church. We teach and practice two sacraments, or sacred acts: Baptism and the Lord’s Supper. In the Lutheran church these, along with God’s Word, are called “Means of Grace.” In other words, the Word, Baptism, and the Lord’s Supper are “vehicles” or means of God giving his grace to his people. We believe that baptism is first and foremost God’s work, where he forgives sins, rescues from death and the devil, and gives eternal salvation to all who believe this. See Matthew 28:18-20; Mark 16:16; 1 Peter 3:20-21; Titus 3:5-7; Acts 2:38 etc. Because the Bible teaches that Baptism begins with God’s action of grace, we baptize children and infants as well as adults. We believe that in the Lord’s Supper, along with the bread and wine, the true body and blood of our Lord Jesus Christ is actually given and received by those who eat and drink. Jesus himself declares, “This is my body…This is my blood.” See Matthew 26:26-28. The Bible teaches also that our sins are forgiven, for Jesus says in Matthew 26:28, “This is my blood of the covenant, which is poured out for many for the forgiveness of sins.” Because 1 Corinthians 11:28 says that we are to examine ourselves before we eat and drink, a period of instruction is appropriate before communing at the altar. Bethany Lutheran Preschool strives to provide a program for preschool children (ages two years-nine months to Kindergarten) and their parents that offers the highest caliber of preschool education to the children of our community and is consistent with the Christian teachings of Bethany Lutheran Church of Vacaville. 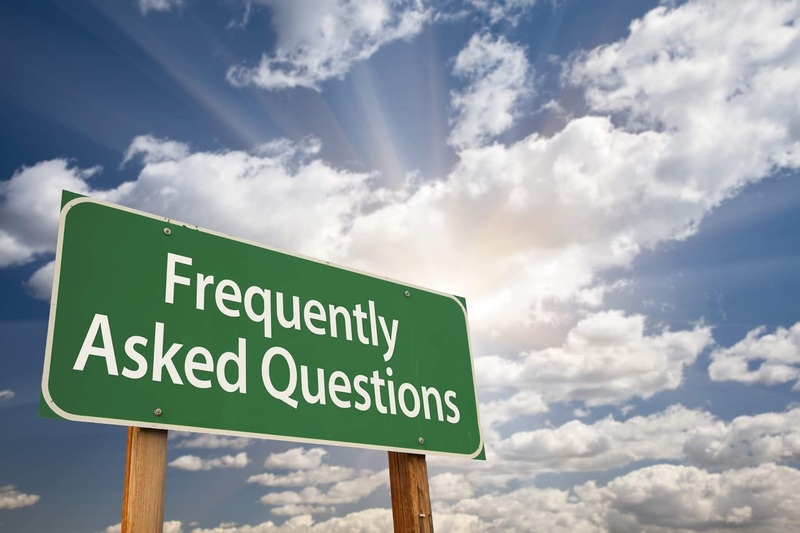 We hope that as you browse our website, you’ll find that most of your questions and concerns are addressed. We look forward to meeting you and your child! Now Enrolling Part-Time & Full-Time Students For The 2018-2019 School Year! Back to school time is here, so enjoy these easy no-bake/no-cook healthy lunch bento box recipes! Still 6 Weeks Left Of Our Summer Program! Check It Out! Thank you for considering Bethany Lutheran School for your child’s education! At Bethany, we strive for the highest level of academic learning and achievement and offer all our services in the context of a Bible-based and Christ-centered community of faith. Our students develop Christian character and excel academically while serving God and others. If your family is in need of financial assistance, scholarships are available through The BASIC Fund, a privately funded organization providing partial-tuition scholarships to low-income families across the Bay Area. 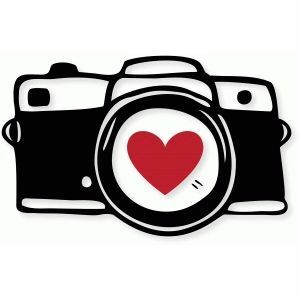 For more information on how to apply for one of these scholarships, please visit basicfund.org. 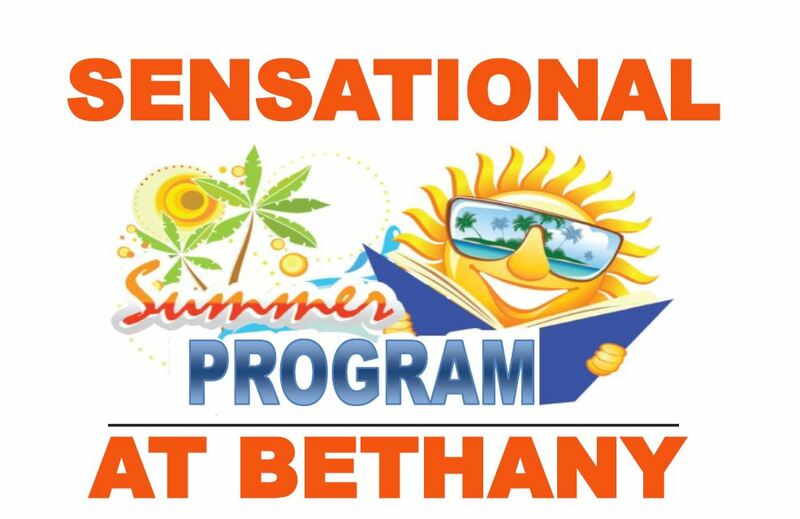 We encourage our new families to participate in the many activities and events at Bethany Lutheran School. 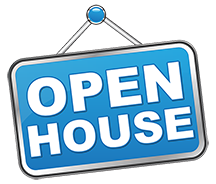 This not only provides families with the opportunity to meet the faculty and staff at Bethany, it also provides us an opportunity to introduce you to returning and other new families. Before you know it, the school year will begin, and your child will have many new friends and experiences to tell you about. Sign Up For Our Fun Summer Program! college/university of the Synod for ministry. The calling and placing of Ministers of Religion in the church involves the whole church. The Holy Spirit guides and directs the process of calling workers in His kingdom through people, on behalf of calling entities (e.g. a congregation, educational institution, etc. ), according to their constitutional processes (e.g. church governance and bylaws). Each step of the process will always include prayer that God’s will be done and that the Holy Spirit guide the process and decisions. A Call comes from God through the calling entity and is extended by God to the Called person. Thus, congregations, district officials, synodical officials, and college/university placement directors in the Concordia University System of The Lutheran Church—Missouri Synod work together cooperatively to provide the calling entity with ministers who are qualified and capable of carrying out the mission and ministry that the Lord has entrusted to His church. When a church extends a Call to a Minister of Religion, the Called person receives a Call Document, called a Diploma of Vocation, which outlines the details of the Call. A sample Diploma of Vocation can be downloaded below. It’s almost Father’s Day, and these 9 DIY gift ideas will make any dad happy! 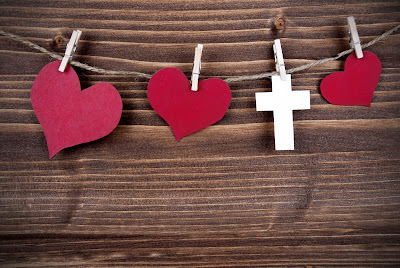 A Christ-centered education is an education that, quite simply, makes God’s love for all of us through His Son, our Savior Jesus Christ, the reason why we do what we do. Having that freedom allows us the freedom to look at multiple viewpoints when addressing classroom topics. 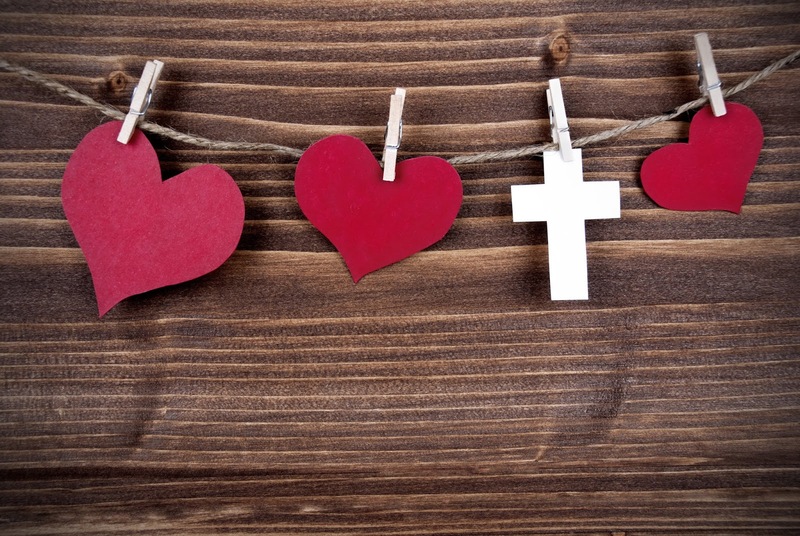 Being Christ-centered also allows us to use any opportunity that comes along as a moment where we can reflect everyone in our midst the same love we understand as God’s redeemed people. In other words, the understanding of Christ as Lord is not limited to just Bible class or Chapel. We are dually accredited by the Western Association of Schools and Colleges (WASC) and the National Lutheran Schools Accreditation (NLSA). Being accredited means that we have given a strenuous look at everything that makes us who we are, where we want to be, and how we are going to get there. Private schools are not required to be accredited; it is a voluntary process that allows a school to put into place a formal process for school improvement that involves the whole school community. While numbers fluctuate from one year to the next, it is expected that enrollment in any one class will not exceed twenty-five students (Kindergarten not to exceed 22). At this time the average class size is nineteen students and the staff: student ratio is 1:13. Yes. There is before and after school Extended Care available for a cost specified in the registration materials. For further information on the program, please feel free to contact the school’s office at 707-451-6683. Tuesday, June 5—Kindergarten Promotion will be held at our school campus in the fellowship hall @ 9:30am. Mrs. Fernandez will have more information regarding help needed etc. 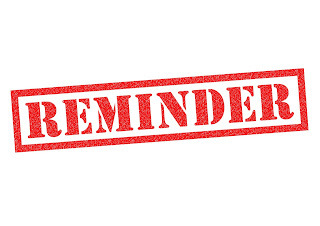 Wednesday, June 6—End-of-Year Awards for all students will be given out to students during chapel—Wednesday @ 8:30am. Wednesday, June 6—8th Grade Promotion will be held at Bethany Lutheran Church in the Sanctuary (621 S. Orchard Ave.) @ 6pm with a reception in the fellowship hall to follow. We're previewing the sounds of the Vacaville Fiesta Days event on the Good Day Stage. If your student walks the Parade Route with Bethany we will allow that time to be used as part of your Partnership Hours. Please make sure to have a partnership hour sheet with you to have signed by someone from Bethany. They can be found online or right outside the school office. 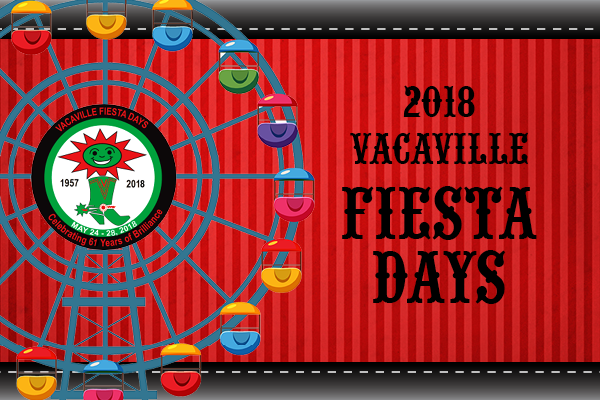 We have an amazing opportunity on Saturday, May 26th to show our school pride and represent Bethany School and Preschool in the Fiesta Day Parade! We are asking everyone to come in Bethany dress (your school shirts or school colors: Red, White, and Blue). We will be walking in the parade, children may decorate and ride their bikes/scooters/wagons as well. We will be meeting at the corner of Mason St and Williams St. at 9:15am. The parade route ends at Bethany Preschool/Church so we would recommend parking at the Church and walking to meet us. Please let us know if you plan on attending so we can get a rough guess at the number of people joining us. We hope it is everyone!! We are very proud to announce that additional security has been added to the school. Thanks in part to PTO and Scott Ledford, classrooms and offices around campus have been equipped with the new Lock Block safety feature to provide increased security in the event of danger on campus. This rubber device titled "Lock Block" prevents locked doors from completely closing, allowing the handle to stay locked and students to quickly lock doors without the need of keys in the case of danger on campus. Doors will remain locked at all times, and when students need to quickly go to the restroom or their locker, etc. they can use the door block to keep the door slightly ajar, without locking, until they return. We did it! We made it through the accreditation visit this week, which began on Sunday afternoon. Thank you, first and foremost, to our staff, Church Council, and all the parents who were asked to be on focus groups throughout the process. Additionally, thank you to our students who did an amazing job welcoming our visitors and loving them as if they were already a part of our community. The visiting team gave their evaluation feedback, which included commendations of the administration’s ability to equip the staff and students with the necessary resources needed to succeed academically. The visiting team also commended the school for its’ friendly, loving, and nurturing school climate. Some areas of attention or focus were also discussed during the closeout session. One area of critical need listed the assessment of student learning outcomes as a recommendation for improvement and a formalization of action plans to that end. Although the overall visit produced some very insightful information, I believe that the overall vision, mission, and direction of the school was clearly substantiated. This was a very tough process which also created some trepidation among faculty and staff, but I truly feel God’s ultimate plan for this campus is shining through. It doesn’t seem possible but we only have five weeks of school left! As we have said throughout the year, “Please do not wait until the end of the year to try to complete your hours. There are fewer and fewer opportunities as the school year comes to a close. However, there are a few opportunities coming up that will allow you to complete some of your hours, (i.e., helping teachers, lunch help, talent show, field trips, End-of-Year BBQ, etc.). Remember: in order to receive credit for your completed hours, YOU MUST record the hours on the Partnership Hours form, including the date, activity and/or job description and the number of hours. A BLS staff member or event coordinator must then initial that hours were completed. The completed forms are then turned in to the school office so they can be recorded by Student Billing. Partnership hour forms are available in the rack outside of the school office or on the school’s website at www.gobethany.com. All Partnership Hours for the 2017-2018 school year must be submitted to the school office by June 15, 2018. 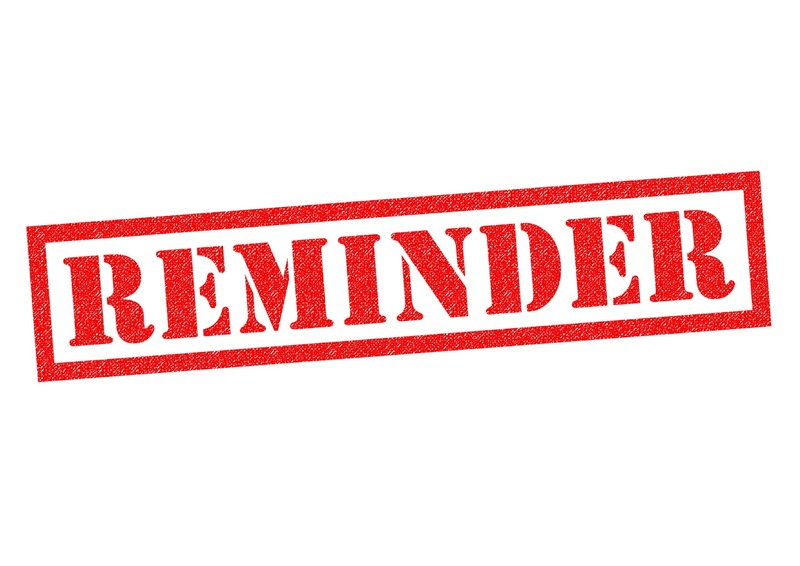 If you have completed your required number of hours for the 2017 2018 school year, there is no need to continue recording them…you are finished! Thank you for partnering with us and your continued support of the mission of BLS! 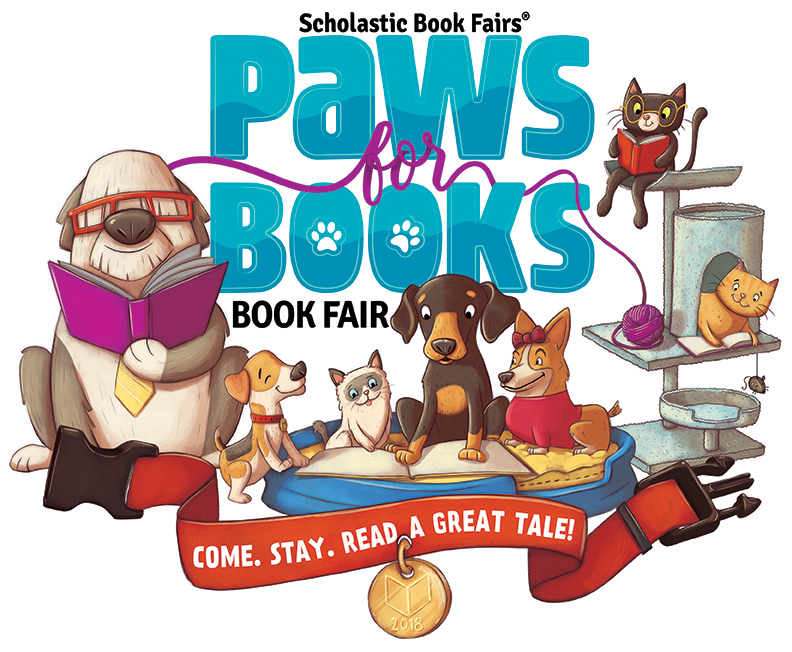 Paws For Books Book Fair! Our Scholastic Paws for Books Book Fair will begin on Monday, May 14 and last the week. Our focus for this book fair is to encourage summer reading. We will have many exciting events and activities planned for our Spring Book Fair. 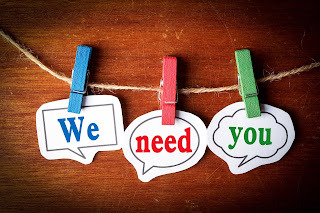 More information to follow… We will need help with: Registers Setup Decorations Breaking down If you can help, please contact Christine Dicker at dickerchristine@hotmail.com Thank you for partnering with us to make this another successful Book Fair!!! This is a part of our curriculum; it is not just a field trip. 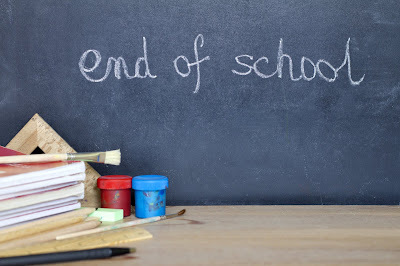 Friday, April 27 will be a minimum day and school will be dismissed at Noon. We will still have extended care so please have your child pack snacks and a lunch. 1. In a large bowl combine melted white chocolate, cream cheese, vanilla extract with a hand mixer. Mix until smooth. 2. Slowly incorporate 8 cups of powdered sugar into the mixture. Mix with a spoon first then a hand mixer to avoid spills. Mix until smooth. 3. Separate mix into 6 bowls. Add food color gel to get the colors of the rainbow. 4. Line a square pan with two layers of parchment paper. 5. Pour the first layer of fudge into the pan and then smoothen out with a spatula. Tap the pan to remove any bubbles. 6. Repeat the pour and process with the other layers. 7. Refrigerate for at least one hour. 8. Remove fudge from pan and parchment paper. 9. Cut into one-inch squares. Serve and enjoy. 1. Dip pretzel stick in melted white chocolate. Leave about an inch of the pretzel uncovered. 2. On a large plate carefully layout sprinkles into rows of color. 3. Carefully roll the white chocolate portion of the pretzel in the sprinkles. Roll until the white chocolate is completely coated in sprinkles. 1. Separate frosting into 6 bowls. Add food gel color to create a rainbow assortment of color. 2. Place each color of frosting into a piping bag. 3. Layout a layer of plastic food wrap. 4. Carefully pipe outlines of frosting onto the plastic wrap in sequential rainbow order. 5. Carefully roll the plastic wrap and connect the first and last row of frosting.Twist the ends of the plastic wrap until the frosting is compacted into a long. 6. Cut the end of one side of the frosting log. 7. Slide the frosting log into a piping bag with the trimmed tip going in first. 8. Carefully pipe the rainbow frosting out of the bag. The colors will blend together to create a rainbow effect. 1. Melt colored candy melts in separate bowls. 2. In a clean bowl, spoon in small amounts of candy melts. Keep the colors separate. 3. Carefully dip the head of an ice cream cone into the candy melts. 4. Tap and turn the cone to control the drips of the cone. 5. Serve with ice cream and enjoy. 1. Combine powdered sugar and milk. Mix until smooth. 2. Separate into 6 bowls and add food gel color. 3. On a shallow plate, carefully spoon out a small amount of icing in a rainbow sequence. 4. Dip a donut (or any other pastry) into the rainbow icing. Pull out to reveal the rainbow pattern.